On May 21, 2018, the United States Supreme Court found in favor of corporate America as it relates to employee rights. In a 5-4 decision authored by Trump appointee, Neil Gorsuch, the Court determined that employers could prohibit employees from joining forces in a class action lawsuit to bring violations of the Fair Labor Standards Act (FLSA) through the use of mandatory arbitration clauses in employment agreements. Arbitration clauses in employment agreements have become increasingly common and favored by big business. At issue was whether such agreements are enforceable under the National Labor Relations Act (NLRA). The NLRA guarantees employees the right to self-organization, to bargain collectively, and to engage in concerted activities for the purpose of collective bargaining or other mutual aid or protection. 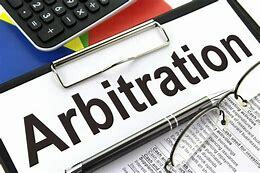 The Federal Arbitration Act (FAA) provides that courts should enforce agreements to arbitrate, including the terms of arbitration the parties choose. There is a savings clause that allows courts to decline to follow the mandate where grounds exist at law or in equity for the revocation of any contract. The case against Epic Systems Corp. (Epic) was brought by Jacob Lewis, an employee challenging a provision in an employment agreement providing that the he agree to waive the right to participate in any class or collective proceeding relating to an employment dispute, and instead agree to mandatory arbitration. The 7th Circuit found that the mandatory arbitration clause was not enforceable as it violated the NLRA. More details about the Epic case and explanations on class action and arbitration can be found in a KEW Tips article from February 16, 2017, Epic Systems Arbitration Agreement: Is it Enforceable? Morris alleged that Ernst & Young misclassified Morris and other junior accountants as professional employees instead of non-exempt employees and denied overtime wages under the Fair Labor Standards Act (FLSA). Ernst & Young moved to compel arbitration under an employment agreement signed by Morris that stated all disputes would be handled through arbitration. The 9th Circuit found that enforcing the mandatory arbitration clause in the employment agreement violated the NLRA. In a similar fashion to the other two large employers, Alternative Entertainment, Inc. had an employment agreement with a clause requiring binding arbitration. The 6th Circuit sided with the 7th and 9th Circuits in finding that an arbitration agreement requiring employees to individually arbitrate wage and hour violations instead of joining together as a class before a court violates the NLRA. The Supreme Court disagreed with the appellate courts and didn’t buy the employees’ argument that the savings clause of the FAA would apply to the NLRA, or in other words that illegality under the NLRA is a ground that exists at law for the revocation of the arbitration clauses. The Court found that the the FAA holds that arbitration agreements must be enforced as written, and therefore arbitration agreements in employment agreements restricting employees’ ability to bring an action as a class are enforceable under the FAA. Well, this allows any company to force an employee to sign away the right to pull together with other employees to start an action against their employer for a violation of the law. Oftentimes wage violations are for small amounts, and so it isn’t worth it for an individual employee to start an action, but with several employees acting together, it becomes more advantageous, and an attorney is more likely to pick up the case. Now, a company can remove that option from its employees through a quick agreement. Also, arbitration is very different than court. Court is an open and public process with neutral judges, or even a jury of one’s peers to decide issues. In contrast, arbiters are typically paid per arbitration, and you better believe a large company has a list of arbiters they like to use that have handed down favorable opinions in the past. Also, with the exception of California, most states do not require arbitration decisions to be public. This will make it easy for companies to sweep violations under the rug and away from public view. For more information regarding the Fair Labor Standards Act, arbitration agreements or any other issue relating to the Court’s decision, contact Jessica M. Kramer, Leslie Elkins or Nicholas C. Watt at Kramer, Elkins & Watt, LLC. How do probationary periods affect Unemployment Insurance? Do I need to provide leave to my employees? Kramer, Elkins & Watt, LLC is a law firm, and presents information on its website as a service to its website visitors. While the information on the website may involve legal issues, it is not legal advice. Laws and legal interpretation change rapidly, and we make no guarantee that any information on the website is accurate or reliable. Any use of this website does not create an attorney-client relationship between you and Kramer, Elkins & Watt, LLC. No attorney-client relationship is created between you or anyone else and Kramer, Elkins & Watt, LLC without Kramer, Elkins & Watt, LLC's informed written consent. Contacting Kramer, Elkins & Watt, LLC or one of its attorneys via phone, email or otherwise does not create an attorney-client relationship. This website is not intended to be advertising material. Should you need legal advice, please seek advice of an attorney.